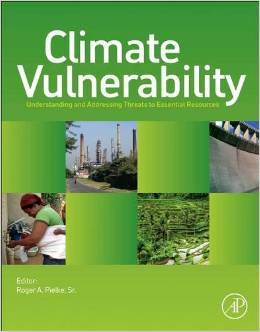 The Community White Paper “Extreme Geohazards: Reducing the Disaster Risk and Increasing Resilience” identifies the risk of a global disaster associate with major volcanic eruption as an underrated risk and provides recommendation how to address and reduce this risk. The project was managed by Tiwah with support from the European Science Foundation. Reference: Plag, H.P., Brocklebank, S., Brosnan, D., Campus, P., Cloetingh, S., Jules-Plag, S., Stein, S., 2015. 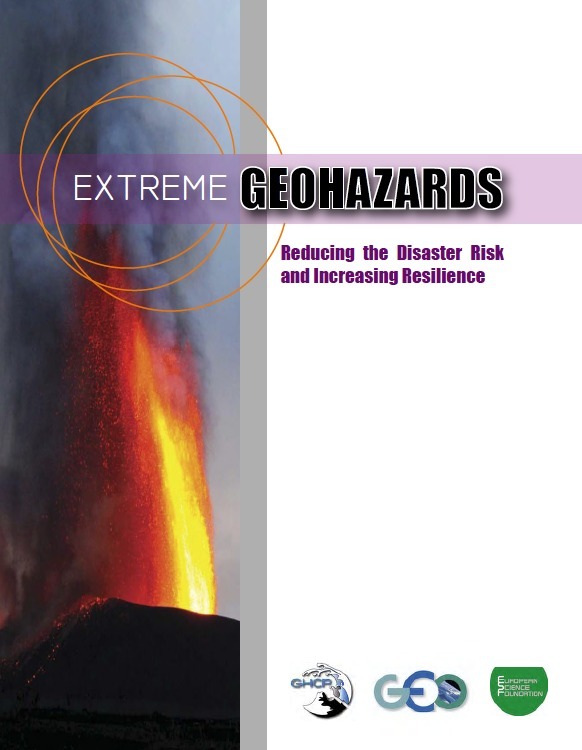 Extreme Geohazards: Reducing the Disaster Risk and Increasing resilience. European Science Foundation. The “GGOS 2020 Book” book “Global Geodetic Observing System: Meeting the Requirements of a Global Society on a Changing Planet in 2020”, edited by Hans-Peter Plag and Michael Pearlman, which was published by Springer in 2009, gives an excellent overview of what geodesy can do for science, society, and you. 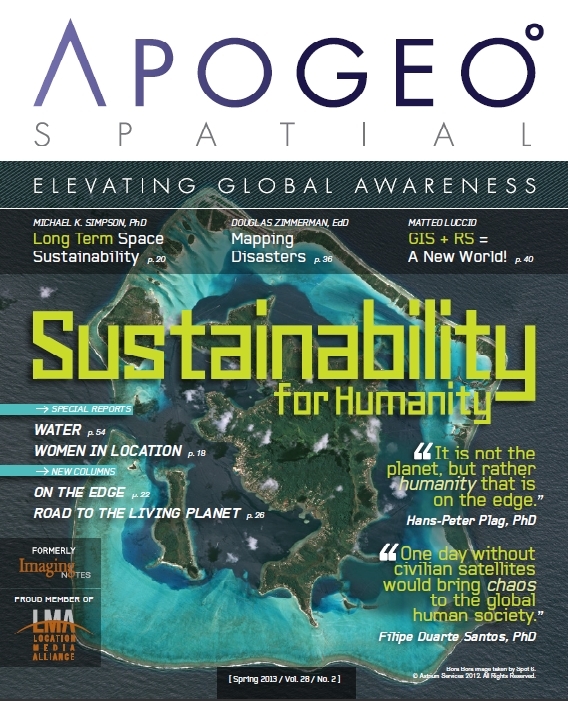 It also sets the frame for the development of the global geodetic infrastructure and what actions the global geodetic community needs to take in order to fully exploit the potential of geodesy in a modern society. See the On-line version. Nativi, S., Mazzetti, P., Plag, H.-P. (eds. ): Towards a Sustainable GEOSS (Global Earth Observation System of Systems) — Some Results of the EGIDA Project. ISBN 978-88-98262-05-2. Plag, H.-P. (ed. ), 2012. Bonn Statement. 2nd GEOSS Science and Technology Stakeholder Workshop “GEOSS: Supporting Science for the Millennium Development Goals and Beyond.” Bonn, Germany, August 28—31, 2012. Available at http://www.geo-tasks.org/workshops/2012_Bonn. Plag, H.-P., Tsimplis, M. N., Hammond, W., and Pugh, D, 2006. Appraisal of the relative sea level rise scenario for Venice. Column1 Column “Running in Fog” in ApoGeo: In this column, the increasing speed of the transition out of the Holocene is compared to the dangers of running in fog with no clear sight of the way ahead, and ways to alert society of both the speed of change and the increasing uncertainty about the future are discussed. Published four times a year. Running in Fog blog: Frequently, blogs comment on recent developments related to unsustainability, global and climate change, and the speed of the transition out of the Holocene. Published several times a year using wordpress. On the Edge@RunningInFog tweet: Frequent tweets comment on recent publications, statements, events and developments related to issues relevant to the work of Tiwah. Published several times a months using Twitter.